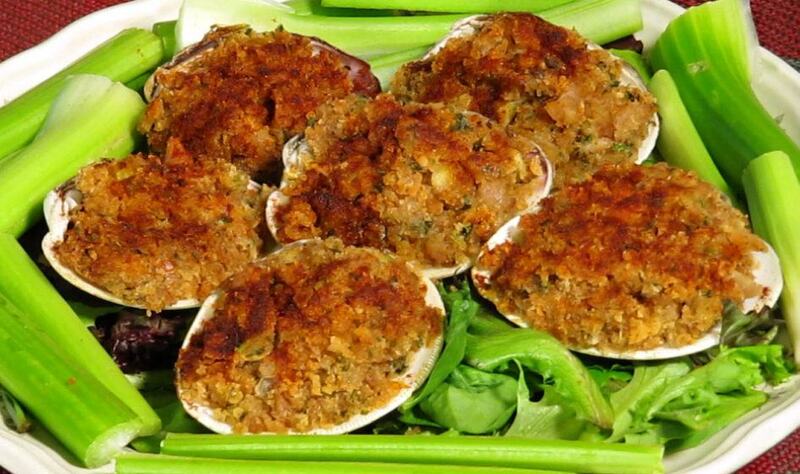 I grew up making and eating Baked Stuffed Clams. The recipe came from our local church cookbook. I have always liked this recipe and today I find myself making these and eating them as a meal with a cool, crisp glass of white wine. 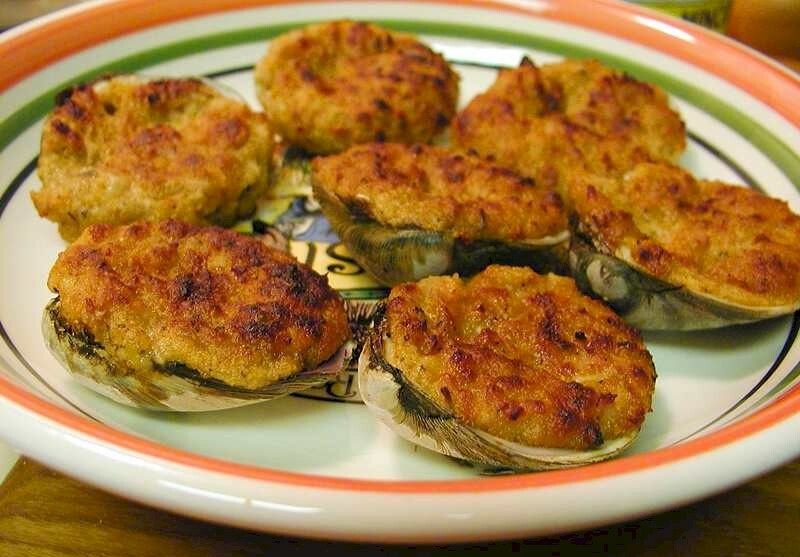 Baked Stuffed Clams are traditionally served as an appetizer. I am thinking of serving them prior to my Thanksgiving dinner this year. One of the nice things about this recipe is that you can make the clam stuffing ahead of time, fill the shells, and pop them in the oven just before you are ready to serve them. When serving a big meal make-ahead recipes are really helpful. Now stir in enough Italian bread crumbs to make a soft moist stuffing add bacon.